الخيار الأفضل للحصول على المتعة والاسترخاء, فندق أوتباك بايونير يقع في منطقة Ayers Rock في ألورو. يمكن من هنا للضيوف الاستمتاع بسهولة الوصول إلى كل ما تقدمه هذه المدينة النابضة بالحياة. كما يمكن الوصول بسهولة إلى ايرس روك ريسورت كامب­ جروند, نايت سكي شو, تر & انفورماسيون سنتر. استمتع بالخدمات الراقية والضيافة التي لا مثيل لها بهذا الفندق في ألورو. يقدم الفندق فرصة للاستمتاع بشريحة واسعة من الخدمات بما فيها: مرافق مخصصة لذوي الاحتياجات الخاصة, واي فاي في المناطق العامة, صف السيارات, التوصيل من وإلى المطار, غرفة عائلية . ادخل إلى واحدة من الغرف 167 وتخلص من عناء نهار طويل بمساعدة مجموعة كبيرة من الخدمات كمثل غرف لغير المدخنين, مكيف هواء, مكتب, شرفة/ تراس, مروحة الموجودة في بعض الغرف. يمكنك الاستمتاع بالأجواء المريحة التي تقدمها حمام سباحة خارجي طوال النهار. إن فندق أوتباك بايونير هو خيار ذكي بالنسبة للمسافرين إلى ألورو، بما يوفره من إقامة هادئة ومرحة. Great location for resort, reasonably well organised. 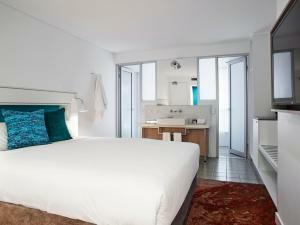 Basic rooms, clean with A/C. Staff are very helpful and friendly. Needs a lick of paint in many areas. The bar area is good however the self BBQ options are far too expensive. Good pool but needs more seating. Overall it serves it's purpose and ok for couple nights. We were very pleasantly surprised - the hotel is cosy, clean and well serviced. Unlike a usual high rise hotel, the rooms are all ground level and are in groups set amongst trees. We were away from the main entertainment area so we slept soundly on our comfortable bed. There’s a variety of eating options - pizza, snacks, cook-your-own meat/fish/chicken buffet and an on-site restaurant. The other options are to walk 15 mins to other restaurants in the resort, eat at restaurants in the town square or pick up some food at the supermarket. The hotel is in the same grounds as a lodge so the atmosphere is a bit more lively than at the other accommodation options. Don’t expect beautifully manicured gardens (it is in the desert!) and the hotel is showing a bit of wear and tear but it’s good value for money. Pool facilities filthy carpet , bath room and disgusting kettle!! Food just ok poor wine list and very pricy. Buy a drink at the bar and found flies in a Midori Bottle but staff didn’t see it until I told them! What if I don’t see it! Le club doesn’t regcognised automatically so have to tell them your membership number during check in. The only good thing was Steven at checking was absolutly helpful and very accomodated. Pro: Provided us with generous takeaway breakfast for early AM tour. Spacious room. Full access to entire resort facilities. Con: Mildew in shower. Tiny sink in bathroom. Most expensive room of our Aussie trip. Among all resorts, it is the cheapest one. If you want a cheaper room, you can choose its affiliated youth hostels. But if you want the privacy, its room is your choice. It is not expensive compared to the others. Although not many accommodation places to choose from this was the cheapest at the time. A free shuttle bus runs from here to all other accommodation places including the town centre. Two lookouts within walking distance to view Uluru. 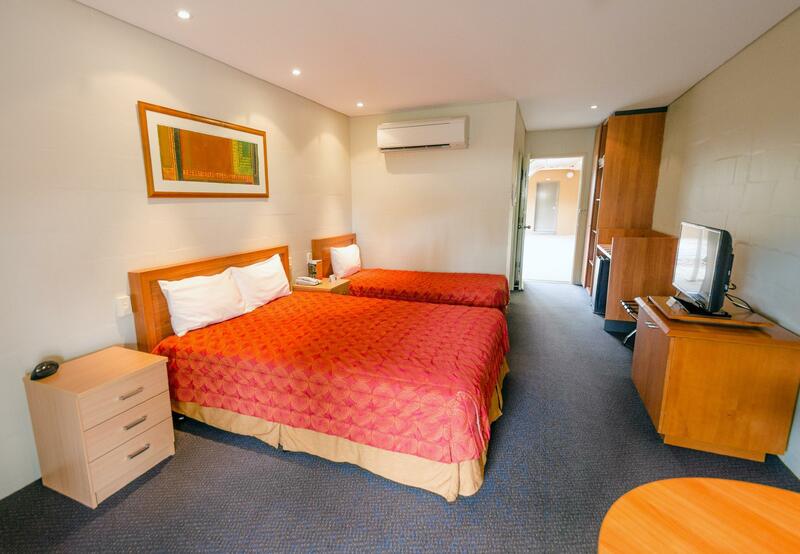 Had a happy experience with the stay at Outback Pioneer hotel, the food was affordable, the room was well maintained, and the place was strategically located, near enought to the national park. We had enjoyed the restaurant and the BBQ food and the fish and chips too. We booked this place because we didn't want to spend lots of money on a room but we are too old to hang out with the kids in the dorm rooms. The rooms are large with their own air conditioner so you can make it as cold as you want. But the room size and decor was as expected, what got us were the other amenities in the hotel.The self cook bbq area, the swimming pool, the restaurant all were a real surprise (in a good way) and we really enjoyed ourselves there. The room was large enough for the two of us, was only a short tram ride from the shopping center, and was easy to get around. We visited the other hotels and determined that this one had the best lookout point for both Uluru and Kata Tjuta. The staff were helpful and the room was clean and comfortable. Try to schedule your visit when the moon is not so full so you can see a lot of stars. We stayed 2 nights here. The room was good. But the fridge was too small n only can put few drinks. There was shuttle bus can drop u around the shopping centre. There is a Chinese take away food was very nice. N nearby the IGA which u can buy some food n cook in the guest kitchen. It's very sweet service. But Internet is expensive. 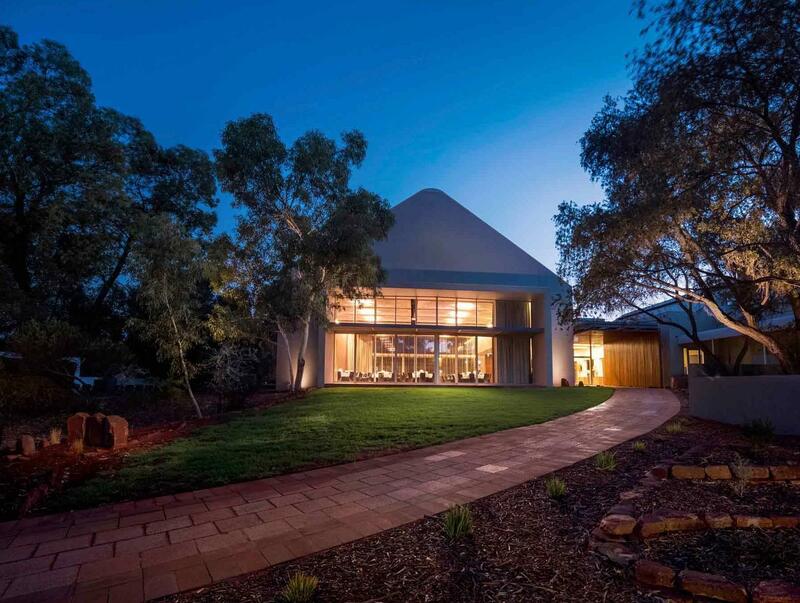 I cannot speak highly enough about all the staff we encountered at Ayers Rock Resort. From the moment we arrived, we’ve felt incredibly welcomed. I want to thank them all by name but there isn’t enough space! Special shout out to Zakh at Outback Pioneer reception who really went above and beyond to help us out. There are many dining options available and everywhere we ate over the 6 days we were here, was fairly priced and delicious to boot. (Seriously, try the noodles at Ayers Wok!) Do yourself a favour and go to the Kulata Acedemy Cafe for some seriously good coffee! Our room was spacious, clean and we even had a bath! Room was perfect. All in all, if I could give this resort more than 5 stars, I would. The room was very generous with good coffee making facilities, great bathroom, very comfortable bedding, fantastic TV, lounge chair and round eating table, excellent air conditioner, hairdryer, iron, outdoor patio. This was excellent, we were really pleased and we'll come again. Rooms are large and clean. Pool is nice but pool area would benefit from upgrade and cleaning.... Expensive but cheap compared to other hotel options in Yulara. Price gouging on water! Bring your own from Alice Spring. Great place to visit Uluru from. Lots of free cultural activities in the surrounding resort with a free shuttle bus. Good choice of ways to see the Rock , although some of the night dining ones were quite expensive. The nightime entertainment was good although it finished early on the Sunday night. We weren’t Impressed with the quality of the food in the Puoneer Kitchen. We didn’t eat in the main restaurant as it was a 3 course menu but there are other places to eat in the resort. We stayed in the more expensive Standard room which was nice and had unlimited air conditioning ( which we needed) and our own bathroom. They need more reception staff as you had to queue to deal with any query. Bedrooms good, pool area nice, cook your own bbq great, just like being at home especially when the rain came down. Bar area was buzzing and the entertainment was a bonus which is available most evenings. I was impressed with the room. It was comfortable, had tea making facilities and had a good bathroom. There's an inviting swimming pool with grass area and deck chairs. Reception is friendly and helpful and they can assist with activity bookings. A souvenir shop is on site. There are several eating options. The tavern offers drinks and entertainment. There's a nearby lookout you walk to for views of Uluru and Kata Tjuta.